Can one twelve-year-old girl fight a witch? Exiled from her village for accidentally using advanced magic, Suli must either become a wise woman or be shunned as a witch. She’s apprenticed to the wise woman Tala, but Suli’s magical education is cut short when a witch kidnaps her teacher to learn the secret of shape-shifting. Suli discovers she too has inherited the shape-shifting ability. and even without her teacher, learns to fly and to talk to animals. Then the witch asks Suli to make a terrible choice: Suli must live with the witch as her apprentice, or she’ll never see Tala again. But if she agrees, she’ll be called a witch for the rest of her life. I am going to use a quote from another writer to talk about what I love most about my middle-grade fantasy novel, The Third Kind of Magic, for two reasons. The first is that Ms. LeGuin’s essays, in an anthology called Cheek by Jowl, had a direct influence on my ability to revise and finish the book. The second is that her words are more eloquent than mine, and I need to hear her voice again after losing her so recently. Animals were once more to us than meat, pests or pets: they were fellow-creatures, colleagues, dangerous equals. We might eat them: but then, they might eat us. That is at least part of the truth of my dragons. They remind us that the human is not universal. What fantasy does that the realistic novel generally cannot do is include the nonhuman as essential. The vigilant reader will recognize the title of Le Guin’s essay is based on Tolkien’s essay “The Monster and the Critics,” and she amplifies his ideas in “explaining” fantasy to those who need such explanations. Reading these essays, I recognized that “the human is not universal” is the most important theme in my book. I suspect it’s a basic insight of childhood too – that the culture we are being socialized into is not the only reality, or even the best way to organize life. That’s probably one reason why books with animal characters are so appealing to us when we’re younger; children, like animals, are outside of civilization. In The Third Kind of Magic, there are talking animals. Predictably, agents rolled their eyes hearing that. But I wanted to directly convey that the animal characters are interested in, but detached from, human definitions and uses of magic. The animal communities have their own opinions and lore about it, and although they make alliances with humans sometimes, they are not subordinate to them. The one exception is when a rogue human’s use of magic endangers everyone: when dealing with a witch, in fact. Then it’s up to the humans to solve the problem they caused. Suli, the main character, is an untried apprentice in magic. 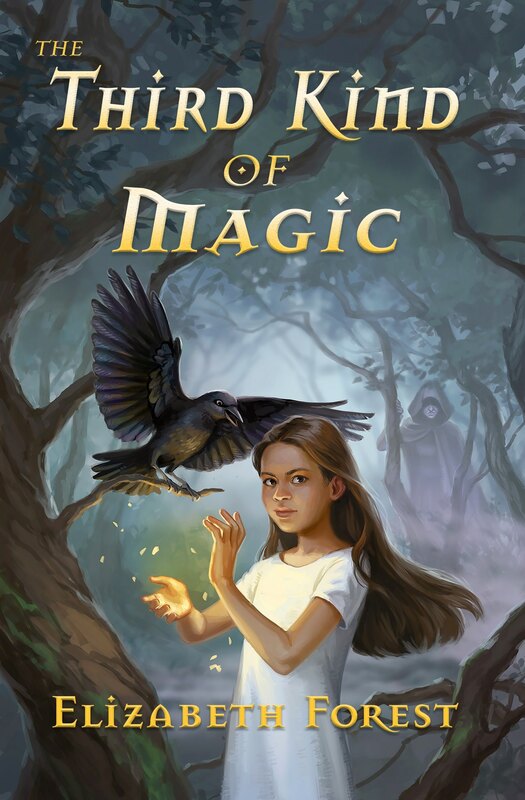 She loses her human teacher early on, and is mentored in magic by a crow teacher. His guidance is vitally important when Suli finally decides how she will deal with the witch who not only kidnapped her teacher, but turned her in to the witch-hunting authorities. In the end, Suli is able to restore the human and animal communities, and to set right what the witch has damaged, without killing her opponent, or “defeating” some essentialist evil. The witch herself is recognized as still being part of the wider community. Killing the offender is not the way this culture solves its problems. Those are the ways of the Outsiders, who have witch trials and hangings. That’s my second favorite thing about the book: There is no final battle between good and evil – rather a family secret that is finally addressed and resolved. So if you’re willing to give up your anthropocentrism for a while, and imagine yourself part of the animal community, you might enjoy The Third Kind of Magic. 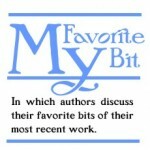 Elizabeth Forest writes historical and speculative fiction for readers of all ages. She’s drawn to other cultures, alternate worlds, and the lives of those outside the mainstream. She blogs at https://www.elizabethsforest.com/blog, and can be found on twitter @elizasforest. Join her VIP Readers’ group athttps://www.elizabethsforest.com/newsletter to hear about new books and special bonus features for members.